This post was inspired by true and horrifying tales seen recently on several closed Facebook groups I’m a part of for sewing and quilting. Whether you’re giving a handmade item you buy from a maker, or were given something special – there are some things you should know about the process from the other side. 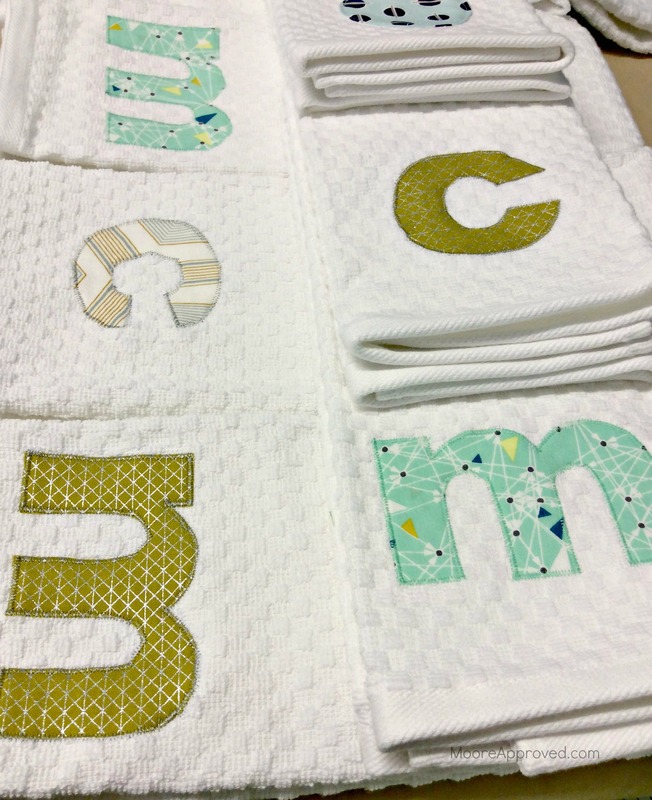 Over the time I’ve been sewing and quilting, I’ve given away most of the things I’ve created – from monogrammed applique towels, bags, baby blankets, bibs, quilts, fabric baskets, to throw pillows. Hardly any of the recipients asked (or were even expecting) me to give them anything. Let me tell you, the response to my gift giving has been all over the map. Mostly, the gifts were delivered at an event like a baby/bridal shower or through the mail. I’m not kidding, but in a few instances – the recipient never acknowledged even receiving the gift. No thank you, no “Hey, I got a package from you,” or a message/text telling me what they thought of it. Due to USPS tracking, I know that the packages were delivered, otherwise I’d never have known. In my opinion, the nicest responses have been getting a super excited message/text/hug in person followed up by a physical thank you card. I’d say this happens 40 percent of the time. And strangely – many of the most grateful recipients aren’t personally that close to me. They’re friends of friends, co-workers, or someone I’ve never actually met in person. For those of you who don’t craft, sew, quilt, or create – a handmade gift is special. Really special. Much more time, effort, and cost than say – a Starbucks gift card or a box of mass produced candy. If you’re blessed to have someone in your life that makes amazing things – SHOW YOUR FREAKING GRATITUDE! The giver would love to see you post pictures on Facebook and Instagram to tell the world how much you love the gift. And take five minutes to write and mail a thank you card. Post photos on social media showing off the gift to your family/friends – tag the maker in them. If they have a business website/Etsy shop – share that information in your post also. It’s a nice way of giving back to them. Do this regardless of rather or not you like the gift – is it really worth busting up your relationship over personal taste? Obviously this person thought highly enough to spend time, skill, and money making you something. Be a decent human back! 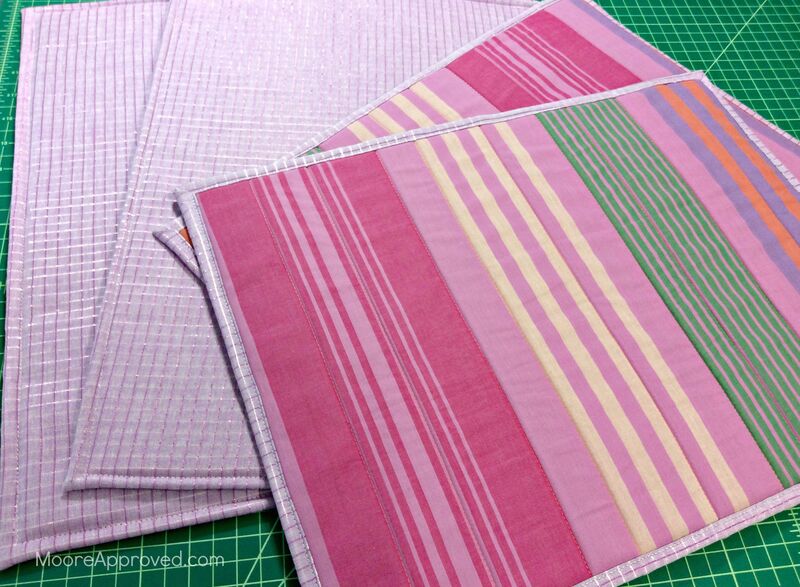 Quilts in particular are extremely time consuming and expensive to make. Some quilters spend years on a quilt for someone special and would be very hurt if the recipient doesn’t fully appreciate what they did. 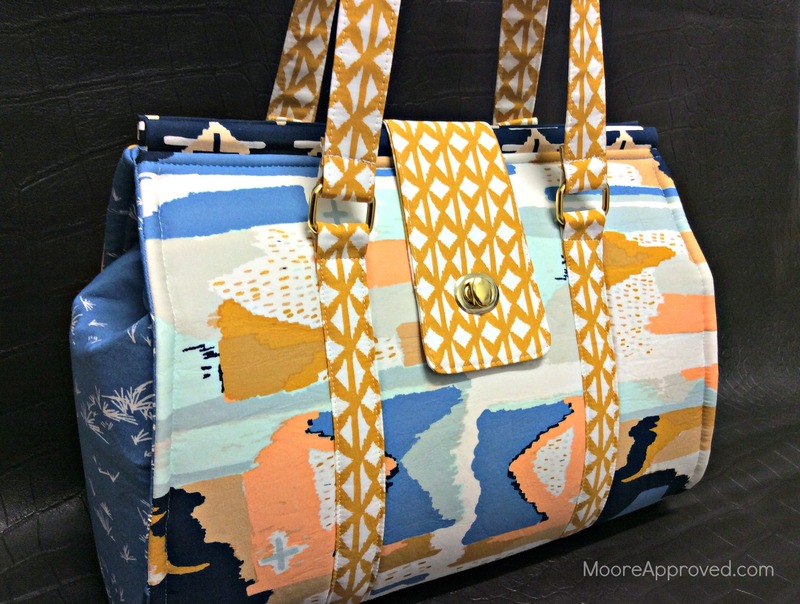 Even the bags I make take a couple days at least to cut, fuse, press, and construct. I don’t part with my creations lightly, and have turned down quite a few admirers who wanted me to make one for them. Honestly, it just wouldn’t be worth my time – they wouldn’t be willing to pay the prices I’d have to charge. Don’t EVER stiff a maker on a custom order – Whenever I see someone on Facebook talking about a customer who flaked on paying/picking up a handmade item, I cringe. How utterly tacky, rude, and unethical! By doing this, you’re leaving the seller with a sunk cost and an item that would be difficult to sell to someone else since it was made especially for you. Don’t tell a seller to their face that you could buy/make their products cheaper – again, this is completely rude and disrespectful. A friend of mine often sells her wares at local events, and encountered a family talking about her products like she wasn’t even there. Going on and on about how they could make the same thing at home. That’s fine, go ahead! Maybe you can, maybe you can’t. No need to insult someone’s talent and skill! This is particularly irritating when the person talking down to the maker has no idea what they’re talking about or what goes into making the product. Quilters become quite irate when someone tells them they can get a quilt cheaper at a big box store. There’s a HUGE difference between a handmade quilt and a prefab “quilt” from Walmart. 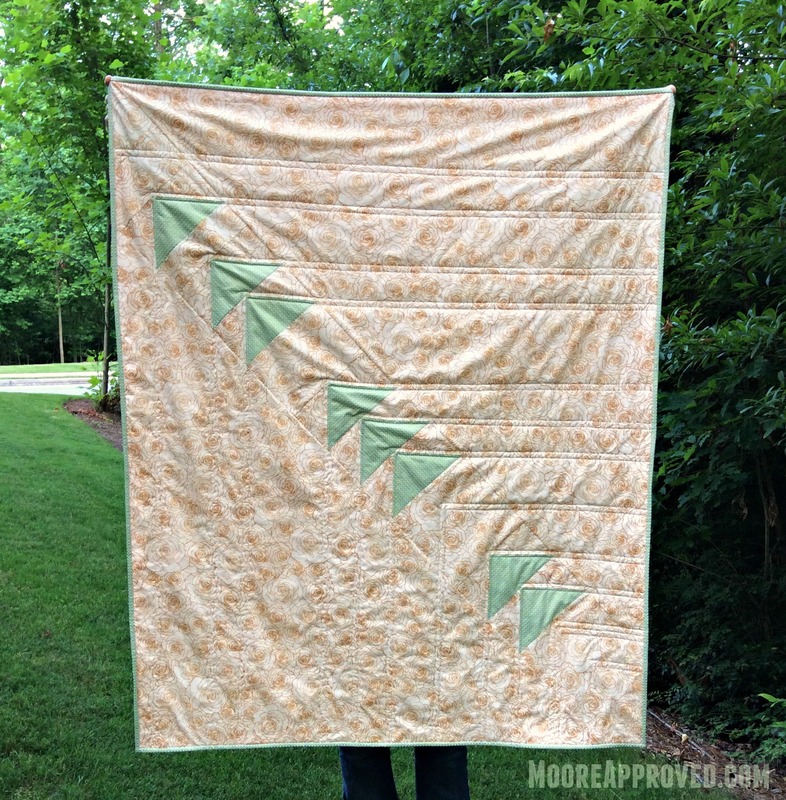 If you don’t think so – try washing one of those $50 “quilts” a few times and see how well it holds up. Also, you should read my Quiltonomics article. 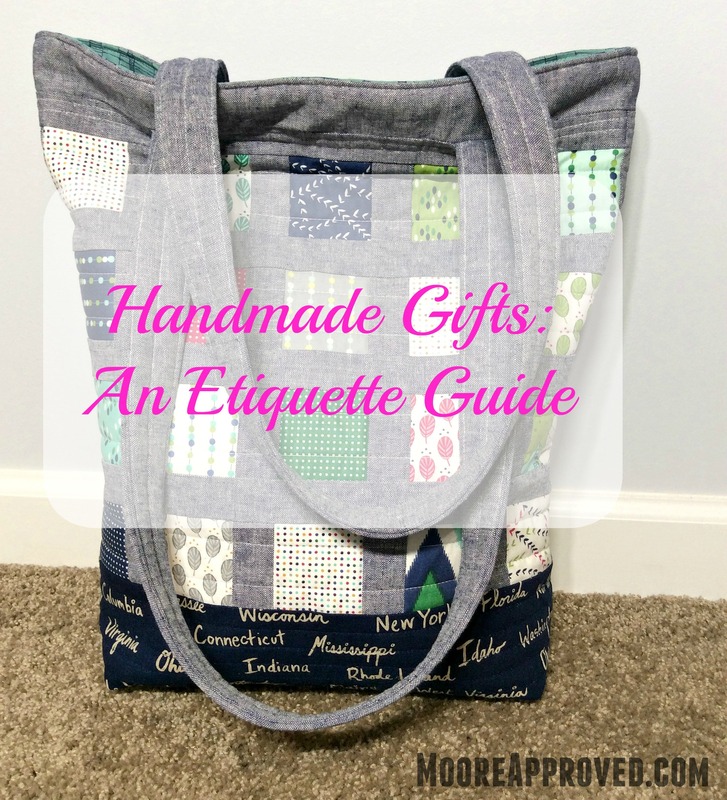 20 Responses to "Handmade Gifts: An Etiquette Guide"
Excellent article! Thanks for posting. I would add one little thing from my personal experience this Christmas. USPS tracking can tell you a package was delivered, but it might have been delivered to the wrong address. One more reason to let the sender know you received it. Thanks again. Great post! Thanks for telling it as it is. Yes. All of this. Thank you for being blunt. Very elloquently stated. I like the article very much. However, I must say one statement, in my experience is not true. “For those of you who don’t craft, sew, quilt, or create – a handmade gift is special.” In my experience this is not true because a person who does not sew, craft, etc. has no clue on how much time, energy, etc. it takes to make a something, even something simple. That is why I stopped making homemade gifts almost 15 years ago. Nobody appreciated them, I even know of two brats that put my gifts in the trash because they were homemade. Well said! I gave a quilt recently, it took several days before it’s arrival was even acknowledged with one line in a text, I was not impressed!! I once crocheted a layette set for an in-laws’s baby shower. It barely made a ripple, nor did it get held up and shown. My mother-in-law told me hand made gifts were cheap. The next gift opened was a hand knit blanket someone had purchased from a crafter. These women couldn’t contain their enthusiasm … “look how beautifully done”, “she paid someone to make such a special gift”, “what a thoughtful gift”, “you are so lucky, handmade is so much more beautiful” …. etc, etc …. it was embarrassing and hurtful. Awesome post. I just made a picnic blanket for my daughters family for Christmas – a lot of thought, money and time went into the gift and they didn’t even take it home with them. Well said! Thank you! The lack of appreciation for custom handmade gifts astounds me. I made a quilt for my neice’s baby shower for her baby girl. She never thanked me or even acknowledged the gift. Her lovely mother did, but not my neice. I learned a lesson, I will never make another gift for her. This. And it’s especially hurtful when you give a gift to another maker who should know better. Well. . . Someone so like the cute Christmas quilt my sister made me, he stole it! Guess I shouldn’t have turned my back! The quilt aside, MY SISTER MADE IT, you clod! Ok, I acknowledge all of that; but perhaps we should stop giving these bags and quilts away. Just because we like what we do, enjoying the whole process, doesn’t mean that someone else will even think our work is any good. It might not fit in with their colour schemes, or their decor, or what they think is fit for their home. We perhaps could stop expecting anyone else to appreciate what we do. Its our joy, our creation, our bliss, stitching, knitting, quilting, all the processes which fulfil our creative souls. Its great to do, but let’s not expect that anyone else would be able to share in that. 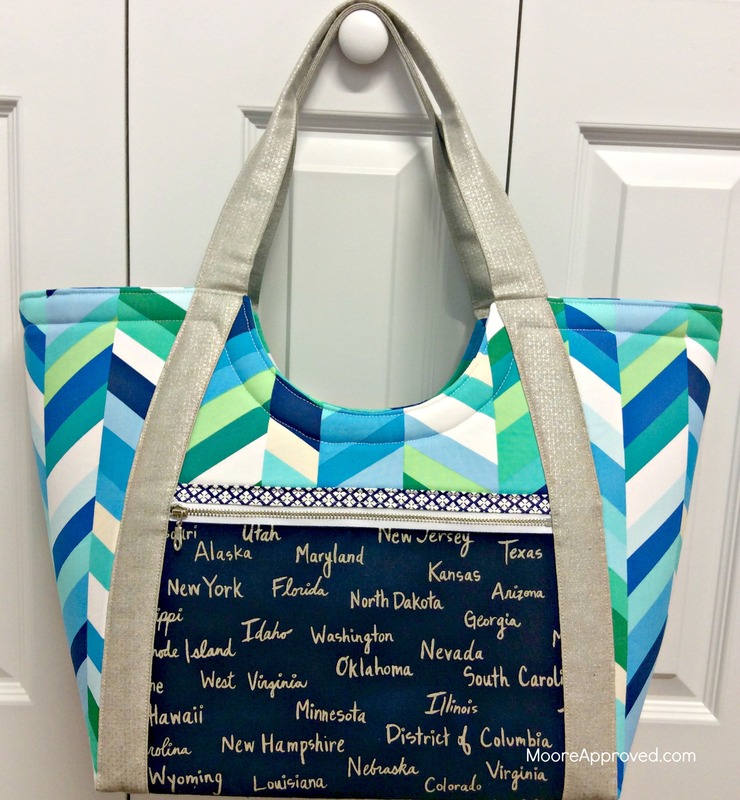 Make your bags, quilts, outfits, always – but don’t necessarily expect they will be received well as a gift, just enjoy your own process, and leave it at that. Not everyone shares our passions. I understand what you’re saying, however, what you are really giving is your time. I quilt, and while I understand that my tastes are not the same as others, at the end of the day, my quilt will keep them warm. If the recipient doesn’t like it aesthetically, they can put it under the duvet, in the car, use it for a picnic, etc. ANY time you receive a gift, it should be acknowledged. But particularly if someone took the time to make it. I made a quilted table runner as a wedding gift for the daughter of friends. I know what dishes she has and made it to match. No acknowledgement whatsoever. It is just sad that people don’t acknowledge that you gave a gift. I think some people may have grown up without proper etiquette. I helped my daughter write her thank you cards before she could do it on her own. She was not allowed to spend the cash she received, use any of the gifts she received regardless if they were home made or purchased. She learned to love to do her thank-you cards. She is 40 and still writes cards to whoever gave her a gift or did something special for her. It is about gratefulness, apparently something many people don’t know about, but the ones who are grateful and gracious are happier people. Always send a thank-you note. I have been extremely lucky in gifting handmade items – almost always receive an enthusiastic hug & thank you. The best was about ten years after gifting a cross-stitch birth sampler – the child thanked me & told me how the sampler has always had a special place in her room! The best we can do is educate our own family & friends and when appropriate tactfully correct the idiots.